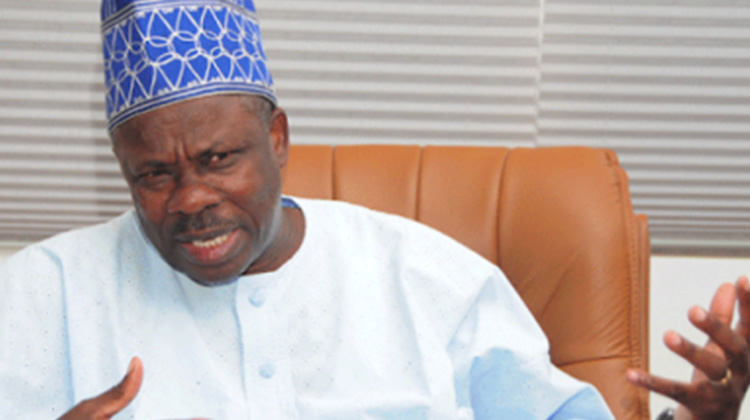 The Ogun State Governor and the All Progressives Congress ’ candidate for the Ogun Central Senatorial District , Ibikunle Amosun , on Monday said he would work against the governorship candidate of the APC , Dapo Abiodun , in the 2019 governorship poll . Amosun said this while addressing a stakeholders ’ meeting of the APC which was attended by his preferred governorship candidate and the candidate of the Allied People’ s Movement , Adekunle Akinlade , at the Presidential Villa in Abeokuta , the Ogun State capital . As Amosun was addressing his supporters , a former state governor , Chief Olusegun Osoba , at another venue described those against Abiodun ’ s candidacy as “ disappointed” party members . Amosun , however , said he would remain in the APC to contest the senatorial seat and ensure the re -election of President Muhammadu Buhari . He insisted that he was in support of the action of the APC aggrieved members who dumped the ruling party for the APM . Amosun ’ s statement came as 26 aggrieved candidates of the APC loyal to him announced their movement to the APM . Amosun , who said he had attempted to stop the defection of Akinlade and other aggrieved candidates to another party , said God would not forgive him if he had stopped them from protecting the tickets given to them during the APC primaries . The governor disclosed that some people, whose name he did not mention , had been begging him to ensure the unity of the party in the state. He said his only condition to them was to return the name of Akinlade as the governorship candidate of the APC before any discussion could take place . He said , “ When these people came , they told me they were leaving the APC , I said ‘ no ’ but I couldn ’ t stop them . In fact , Akinlade has my full support . I am not going to stop him. Everything I have, I will use to support him , let them try whatever they want to try , we also have our strategies and I am not going to hide behind one finger . “ I remain in the APC because that ’ s what those people want. They want us to leave the APC but they are joking . I will stay in the APC to ensure that ( President Muhammadu) Buhari wins in Ogun State and to let them know that they can ’ t subvert the will of the people of Ogun State. “ Every day , I will campaign for President Muhammadu Buhari , we will do everything possible to ensure Buhari wins massively in Ogun State, but they should not miss it . I, Senator Ibikunle Amosun , will not support anyone ( Dapo Abiodun ) they are bringing . “ Why would a reasonable person with less than 10 per cent lord it over the majority ? It can ’ t happen . They know there was only one primary and they have called me to say that , and we have done everything possible to right the wrong, but they are already destroying the party .